Want to find out when you’re likely to start checking your 2018 WAEC May/June exam results online? According to the West African Examinations Council (WAEC), the results for candidates that participated in the West Africa Senior School Certificate Examination (WASSCE) for school candidates will be ready in 45 days. See more details below. The West African Examinations Council says it will release of its 2018 West African Senior School Certificates Examination results in 45 days. The council’s Head of Public Affairs, Mr Damianus Ojijeogu, disclosed on Saturday in Lagos. The council, he said, was satisfied with the conduct of the just concluded examination for school candidates nationwide. 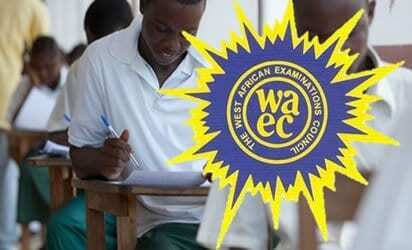 NAN reports that the WASSCE for school candidates commenced on March 27 and was concluded on May 15. “We are indeed happy that the examination was conducted in a hitch free manner. “Right now, we have commenced coordination, briefing and subsequently, marking. “We are looking at releasing the results in 45 days or earlier than that time. “It has been the commitment of the council to always give quality service delivery in line with the Head of National Office, Mr Olu Adenipekun’s promise to reduce the waiting days from 90 days to 45 days, ” he said. Ojijeogu said that technology had been deployed to some marking venues to assist in scanning the scripts. He said that this would facilitate the marking of the scripts. According to him, this will also impact positively in the early release of the results.